go site For over the past 26 years, tens of thousands of people have flocked to our nation’s capital to celebrate the “Official Start of Summer” at the Giant® National Capital Barbecue Battle, one of the largest and most unique food and music festivals in the country. essay for admission On June 22nd and 23rd, 2019, historic Pennsylvania Avenue, between 3rd and 7th Streets, NW, in Washington, DC will become the epicenter of BBQ perfection, bringing together delicious BBQ, delectable summer specialties, nationally- recognized BBQ Contests, popular bands, celebrity chefs & more. https://eatrightfoundation.org/2019/how-to-write-a-science-dissertation/5/ Washington’s tastiest summer celebration pays tribute to everything barbecue and truly embodies the best that America has to offer. In addition to bringing together thousands of BBQ fans from around the country, the Giant® Barbecue Battle has raised millions of dollars for area charities. 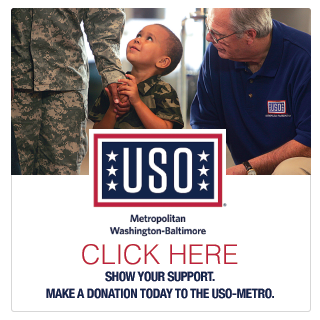 Funds raised from this year’s event will benefit USO Metro and the Capital Area Food Bank. go site For two days, amazing sights, sounds, and the hickory sweet aroma of mouth- watering barbecue replace the usual hustle & bustle of city life. Enjoy live music throughout the weekend with 30 great bands playing rock, reggae, jazz, blues, R&B and DC’s own go-go music on 3 stages. In addition, cooking demonstrations, celebrity appearances, and an array of unique exhibits and activities round out a weekend of fun. Special attractions include: Johnsonville’s Big Taste “World’s Largest” Grill, the Oscar Mayer Wiener Mobile, Nathan’s Famous Hot Dog Eating Contest, the Mr. Peanut Tour, the Comcast Techno Pavilion and more. There will also be plenty of summer sports action from the Baltimore Brigade, Washington Wizards, Mystics, Valor, Nationals, DC United, and Redskins. source Make sure to arrive at the festival hungry as the event offers plentiful free BBQ & grilled food samples in the Taste of Giant® Sampling Pavilion, Giant® Local Flavors Tent, and throughout the event site. Popular BBQ restaurants from around the country will also be on-hand serving up delicious BBQ chicken, pork, ribs, and brisket. To quench everyone’s thirst, the event will feature the Giant® Corks to Caps Wine and Micro-Brew Sampling Tent, Ravage Wine Samples, a variety of Anheuser-Busch beverages, and popular non-alcoholic drinks. go here The high-stakes Giant® National Barbecue Championship Cooking Contest takes place all weekend long. Barbecue legends like Myron Mixon, Tuffy Stone, and Moe Cason from TV’s “BBQ Pit Masters Show” compete side-by-side with other top BBQ chefs and teams from around the country. Teams cook off in multiple cooking contests including: the National Pork Board’s National Pork Championship, the Perdue Sizzlin’ Chicken Contest, the Turkey Smoke BBQ Contest, True Aussie Lamb Contest, and America’s Best BBQ Sauce Contest. In addition, attendees can sample and vote for top military chefs from the Army, Navy, Air Force, Marine Corps, and Coast Guard cooking off in the Military Chef Contest. https://usfarmersandranchers.org/2019/real-propecia-from-canadian-pharmacy/34/ The 2019 Giant® National Capital Barbecue Battle is heating up to be the biggest and best tasting yet, so mark your calendar for June 22nd and 23rd and bring the whole family to DC’s favorite celebration of the art of BBQ. short essay on my favourite animal rabbit in hindi ©Copyright 2015 National Capital Barbecue Battle. All rights reserved.